When I received a flyer (in a birthday card from a dear friend) about Karen I was so happy to read about someone who could connect with animals who had passed. 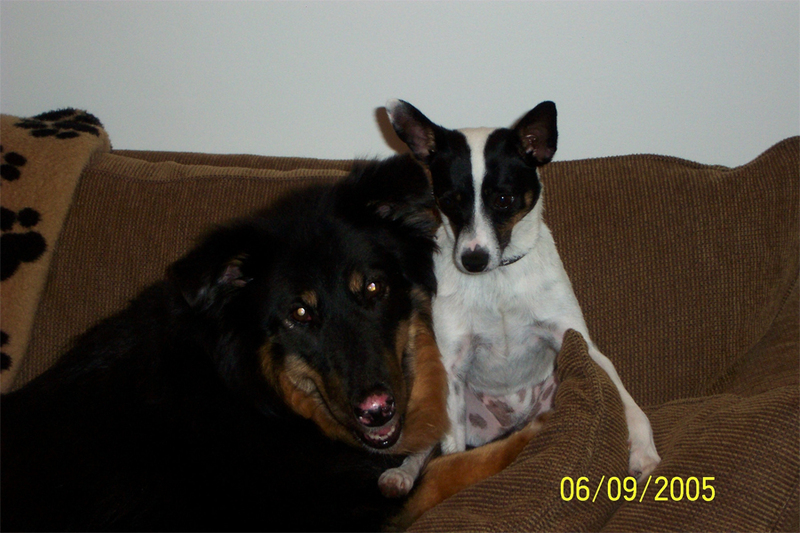 I lost my beloved dog, Rosie (a 14 year old collie mix) to cancer at the beginning of the year and even though several months had passed, I was still having a really hard time with her loss. I couldn’t wait to make an appointment for a reading! I was looking forward to my reading with Karen, but at the same time I was really nervous about it too. I didn’t have any idea what to expect. Once I heard Karen’s voice I was immediately at ease. She was so kind and caring. When she connected with my beloved Rosie, I couldn’t hold back my tears and I cried (a lot)…my tears were mostly tears of joy but also some of sadness. I was really emotional and Karen was very compassionate and understanding. I had wanted for so many months to communicate with Rosie and Karen gave me that chance. I knew she was connecting with Rosie because of all the things she told me. She also connected with my other dog. my little rat terrier named Loki. He was sitting on the couch next to me when I talked to Karen and she told me about him and his relationship with Rosie and me. What a bonus! As I was talking to Karen about Rosie, I could feel her warmth and compassion not only about my relationship with Rosie but she touched on things about me that described me perfectly!